We will be closed for Christmas Holidays from Monday 21st December 2015 and re-open on Monday 4th January 2016. For emergencies, please contact our Facilities Maintenance department on 02890 342444 Wishing you a Merry Christmas and a Happy New Year. If you went down to “The Group” today – you probably got a big surprise! 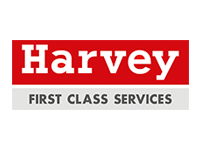 This year, Harvey Group are supporting - www.storehousebelfast.com in their efforts to provide for people who are in difficulty this Christmas. Today was the day to showcase our Christmas jumpers to raise funds for this great cause - thanks to everyone for taking part!